Marlfield Lake is a wild bird sanctuary located to the south west of Clonmel and just north of the village of Marlfield. 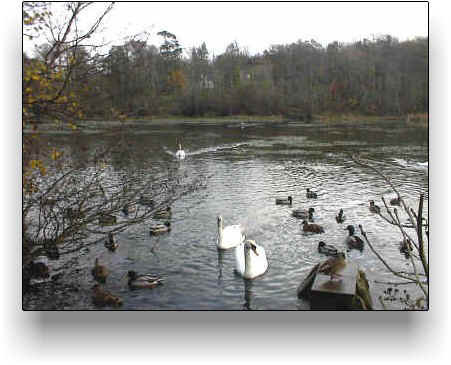 It supports a large population of water birds including swans, mallard duck, coots, and herons. The birds are, in fact, quite tame and will approach visitors expecting food to be thrown to them. There is a road along one side of the lake which makes access very easy. The distance from The Apple Farm is 9km. approx. Saint Patrick's Well is in the same area and is also well worth a visit.